Sinn Féin in Dundalk held a town centre picket in support of the Nurses who are due to strike next Wednesday, January 30th. 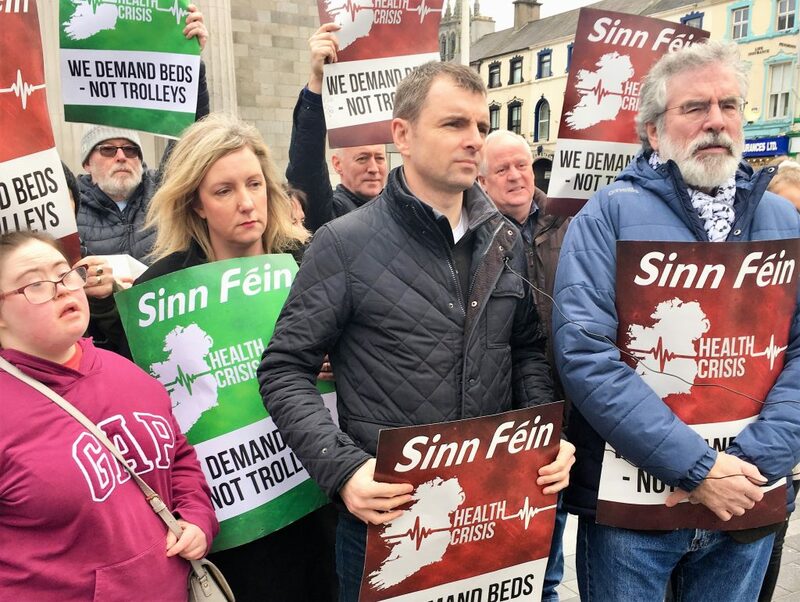 The picket included Louth TD Gerry Adams, and Cllrs Anne Campbell and Ruairí Ó Murchú. 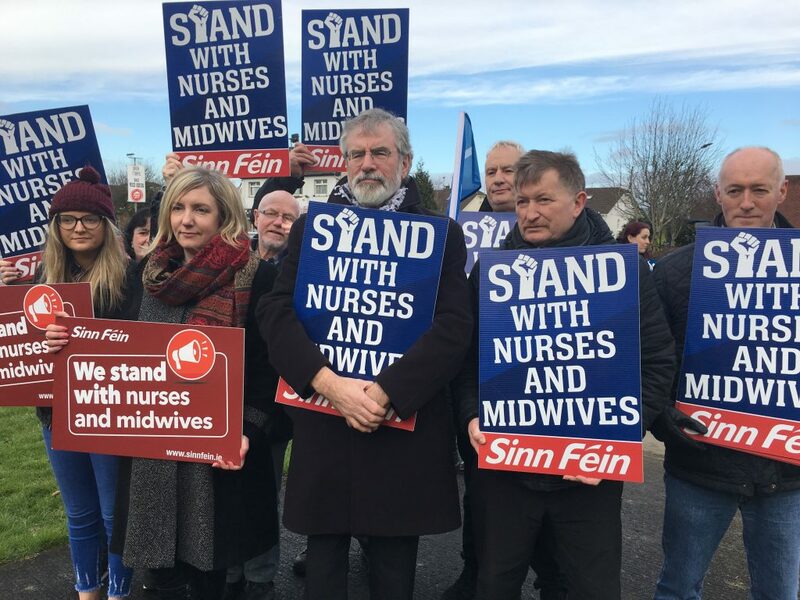 Speaking at the picket Louth TD Gerry Adams said: “Sinn Féin supports the Irish Nurses and Midwives Organisation and the Psychiatric Nurses Association in their decision to take industrial action. 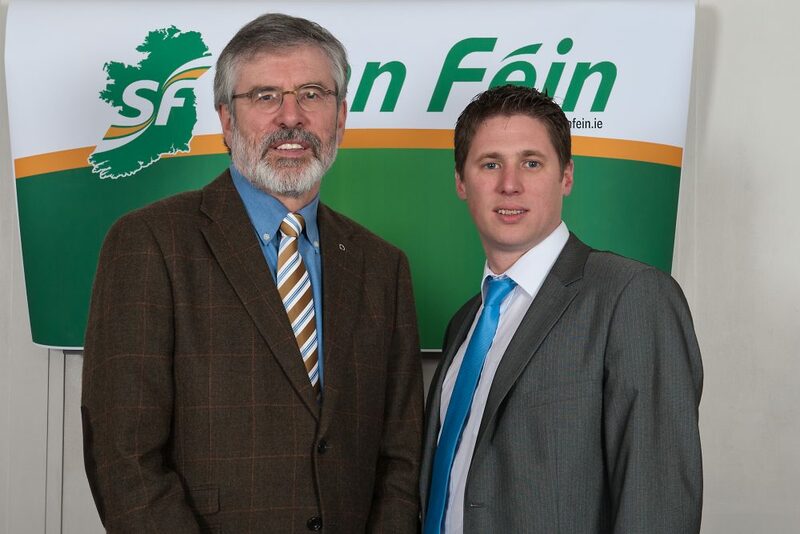 The crisis in our health service is the responsibility of successive governments. It is a result of bad government policy. Working conditions for nurses have become increasingly difficult. Instead of tackling the very real issue of recruitment and retention of staff the government and HSE in 2017 have spent huge sums of money on agency staff. In the last week almost two and a half thousand citizens waited for hours on trolleys or chairs for a hospital bed.